Today, January 20th, is a difficult day for people all across the country. It’s the day we have to officially say goodbye to one of our nation’s most popular modern presidents and say hello to the least liked one in our country’s history. While you might want to spend it tearing up over the best Obama-Biden bromance memes, sobbing for the loss of the former first lady’s inspirational Instagram account, or cry-laughing at the president’s last signature dad joke, there is a much better, more productive way to mourn the end: giving back. You may miss the Obama family already but by taking meaningful action to support the causes they care about, you can thank Barack and Michelle for their service — and help keep their legacy alive. From contacting your state representatives about important local issues to participating in the Women’s March on Washington (or one of the many global sister marches) happening on January 21st, there are a million ways you can keep working on behalf of the causes the Obamas believe in. If you’re a seasoned soldier on behalf of social change, then this is already second nature to you. But if you’re new to activism, then you might feel overwhelmed with the many different groups and causes out there, confused about how you can actually make a difference, or just plain unsure of where to start. Luckily, there are people who can help you begin. Easily facilitating impactful action is just one of the reasons social good tech company Give Lively launched their “Thanks, Obama” campaign and online donation site. 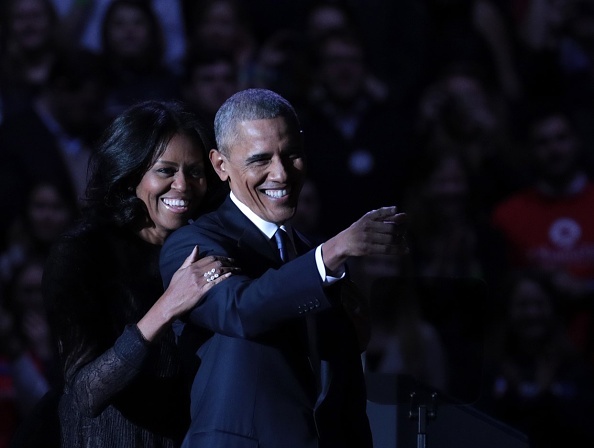 According to the official website, the campaign is one that “empowers citizens to bid a personal and impactful farewell to President and First Lady Barack and Michelle Obama through Small Token.” A unique charitable gift registry, Small Token (which you can also use to support the New York Chapter of the Women’s March) lets aspiring philanthropists go online and donate to a variety of causes the Obamas supported during their time in the White House. Whether you want to honor Michelle Obama’s wish to do more about gun violence or help answer Barack Obama’s call to action for young people of color, the “Thanks, Obama” campaign has a way to help you do exactly that. To make all this possible, Give Lively partnered with 19 nonprofits that support the causes that the Obamas spent the last eight years fighting for, including NAACP, Human Rights Campaign Foundation, National Domestic Violence Hotline, Civic Nation, and more. All you have to do is chose a cause, designate a giving amount, and personalize your donation in the name of Mr. and Mrs. Obama. When you donate, 100% of the proceeds go to your chosen nonprofit, and a personalized thank you note gets sent directly and instantly to the Obamas themselves. While Barack and Michelle Obama are excited to return to a normal life outside of the White House, both the former president and first lady have made it clear they are still dedicated to making a difference as everyday citizens. 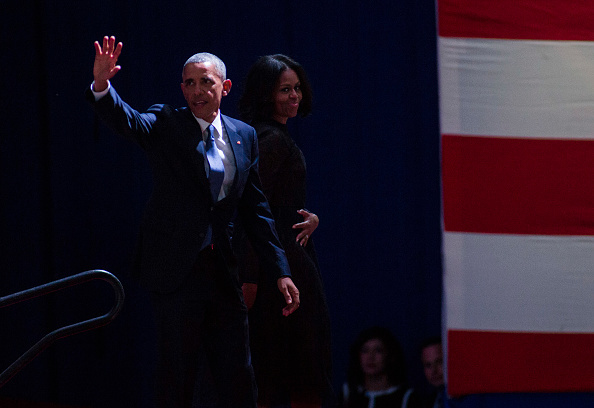 Even after dedicating the last eight years of their lives to public service — not to mention the decades of political work and social activism that came before their time in the White House — the Obamas know their work isn’t done. After a brief period of rest and relaxation, you can expect to see them both fighting for the causes they believe in — the same causes for which they worked tirelessly over the last two terms. So instead of crying over their bittersweet departure, raging over the new norm, or giving up and moving out of the country, do what the Obamas would do: Take action. It’s a beautiful way to honor the inspirational political family that just shaped the last decade of our country’s history. To donate in the Obamas’ name and send a note to the former President and First Lady, visit Small Token’s “Thanks, Obama” donation page.